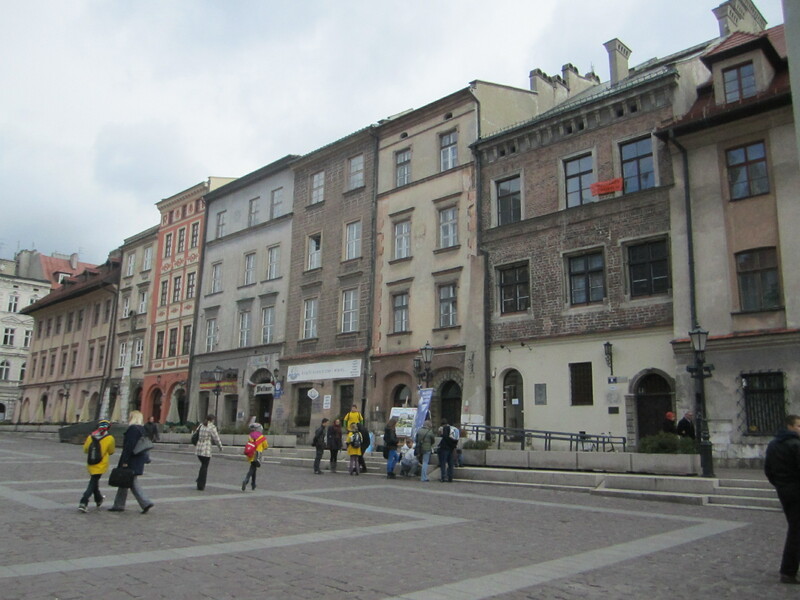 When I first started to plan this crazy trip, I had the grand idea of finding my family roots in Poland. Well, it turns out that tracing the history of a family takes more effort than a couple of emails, and I am far to easily distracted for anything remotely resembling research. So, I used my time in Poland to focus on something that can hold my attention completely…food. I suppose my love of Polish food is a direct result of my family history, so it’s not as though I strayed sooo far from my original plan. As far back as I can remember, this heavy, thick, rich food that sits in your stomach like a rock has been my comfort food; the stuff of celebrations, holiday gatherings, weddings, funerals, weekends at Grandma’s, or just a great home cooked dinner. 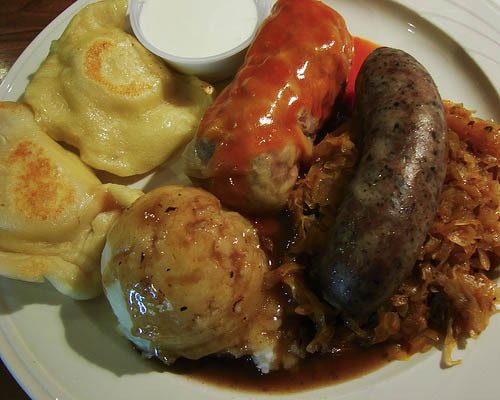 There are many different components to our classic family meals from cabbage rolls, to borscht, sauerkraut, kielbasa, pickles, fresh bread (usually with raisens…ick) and of course the always popular pierogi. I can remember spending hours helping mom stuff these little dumplings (it likely only took hours because of my “help”) at the kitchen table, or running into Grandma’s house to see the big pan full of them just waiting for us. These are truly happy memories! However, every attempt I have made to recreate the home cooked delights just isn’t quite right. So part of my trip to Poland became focused on discovering the secret of the pierogi. I had warmed up a little in Ukraine with many tasty varenyky (basically the same thing, depending on who you ask) and was ready to roll. After crossing the border on foot with my new friend Aneta, I took a train and arrived in Krakow hungry and ready to learn! I had a few hours to kill before I could head to my accommodation, so I dropped my bag off at the station and headed to the tourist district, aka Main Market Square. I was totally in awe of the gorgeous surroundings; St. Mary’s with the spot lights shining on it, the people gathered near the town hall tower, passing through the Florian Gate…but was also a little surprised at the really obvious presence of McDonald’s and coffee shops all over. I managed to find a little place to eat, but no luck on the pierogies. However, when I headed to Kazimierz to crash for the night, I realized my error. This is where all the good food was hiding. This was also where I first spotted Zapiekanka, which seems to be an ‘after-bar’ speciality. It is basically a pizza on a halved baguette. The good Zapiekanka places are easy to spot, as they will be the ones with the line up around the block! Location of the best hot chocolate ever! I spent the next few days wandering through this incredible city, visiting the Wawel Castle, seeing the Ghetto, some of the markets, many of the churches, and of course eating and eating and eating. This is the kind of research I can handle! I had a blast and met some really amazing people who just seem to fit in this stunning city, but the time came to move on. I headed to Auschwitz for a day (but that story will come in a separate post) then went north to the Capital, Warsaw. Here I was staying with a friend I had met in Vietnam. You can imagine how super excited I was when the very first thing we did was to head to a tiny local restaurant and order up some delicious, buttery, potato pierogies. 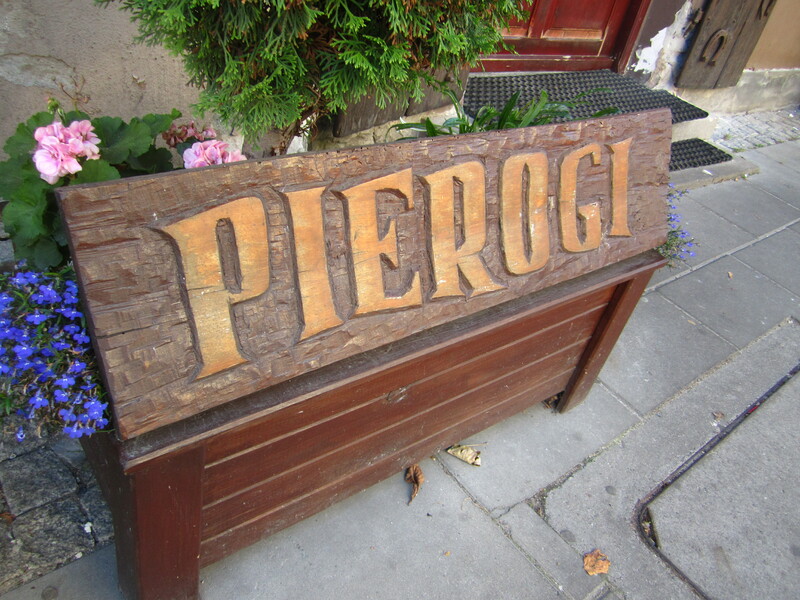 This is also where I learned that, although the potato and cheese pierogies that I love so much are common, the standard pierogi is actually made with meat. The beef is cooked first, then made into the happy little dumplings and boiled and served with onions, butter and sour cream. This method is important because the Russian and Ukrainian equivalents use the boiling process to cook the meat as well, hence the difference. After a couple of days wandering around Warsaw and learning about its overwhelming history (will be included with the Auschwitz post), we headed out to the countryside where I got to see a lovely Polish village and was served a delicious meal of traditional home-made food. 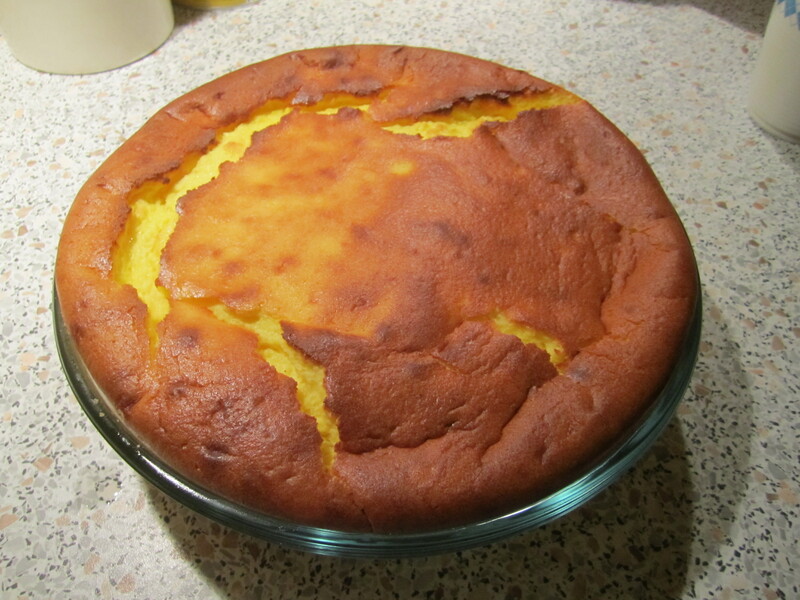 This meal was capped off with a cheesecake called Sernik (wow, this cake is good! ). It turns out that although my love of pierogies will never die, there’s a new kid in town. I am definitely going to have to learn how to make this stuff! 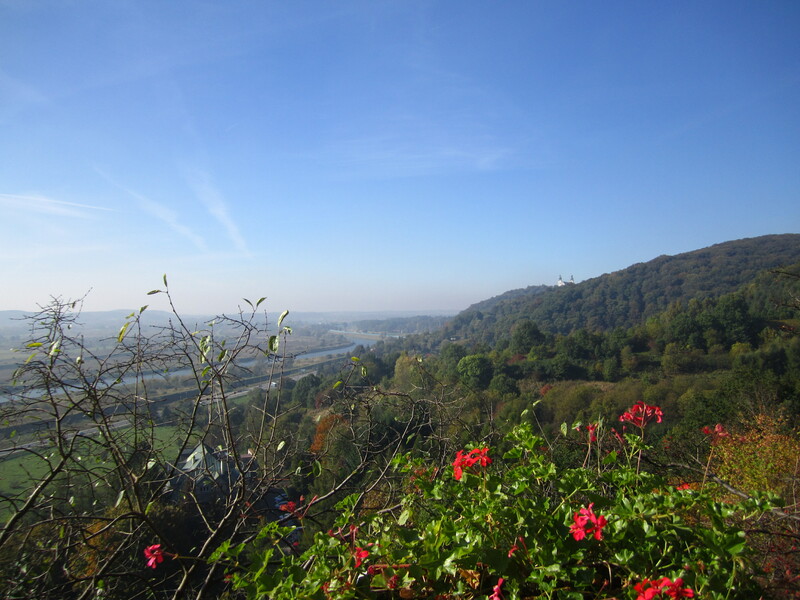 This entry was posted in Poland, Traveling and tagged Family, Food, Krakow, Pierogi, Poland, Sernik, Warsaw. Bookmark the permalink. Making me hungry reading that! Glad you are getting to experience and discover things from your family history! Hope you know I am going to want to try some of things dishes you speak of! We can have some of this stuff while we are sitting on the back deck with our margs! You’re ridiculous. My mouth is actually watering. So jealous! Just stop working and come with me. Isaac will understand. You’re cooking next time we catch up!